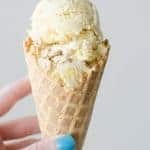 Ginger Peach Ice Cream – creamy ice cream with fresh peaches, ginger, and chopped gingersnap cookies! I had the worst cold last month. It lasted for weeks, I had to sleep sitting up, and I went through more cold medicine than I’ve taken in my entire life. Anyway, I was taking Nyquil so that I wouldn’t cough my lungs up all night and Nyquil always makes me have really crazy, vivid dreams. The kind of dreams where you wake up mad at your boyfriend because of something he did in your dreams and then you start an actual argument with him over it. 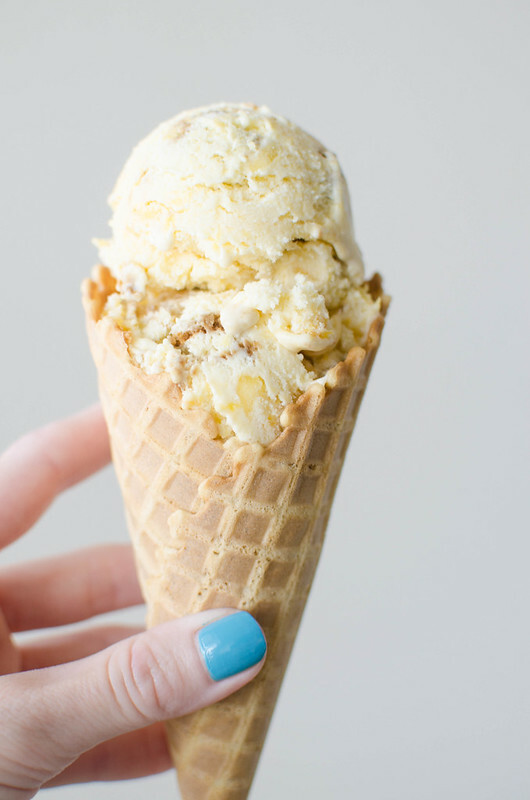 Well one of those dreams was about peach ice cream and I’ve been thinking about peach ice cream ever since. I don’t like fruit ice creams. At all. I never have. 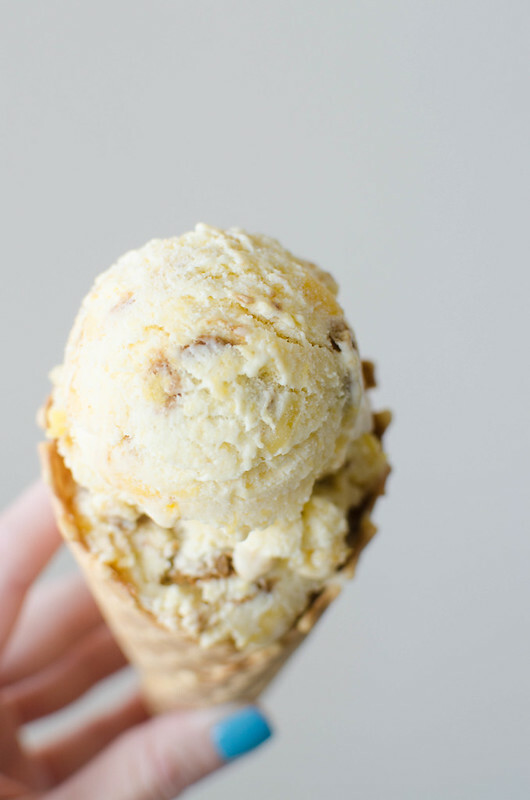 I’m obsessed with this Ginger Peach Ice Cream. I had super ripe, perfect peaches (my Instacart shopper picks out better produce than I do apparently) and then I tossed them with sugar, fresh grated ginger, and lemon juice and let that sit while I made the actual base. 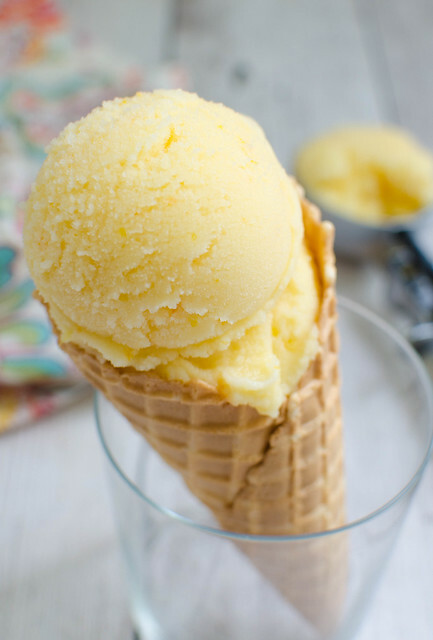 I know it’s more work and I KNOW 8 egg yolks is a lot to use in one recipe, but a custard base is what makes a homemade ice cream so delicious. So just do it. Make your dogs an egg white omelet with the leftover egg whites. They’ll love you even more. So, the custard base. The peaches with all the juices they released. That all goes into the ice cream maker. And because I don’t like ice cream unless it has stuff in it, I added some chopped gingersnaps. 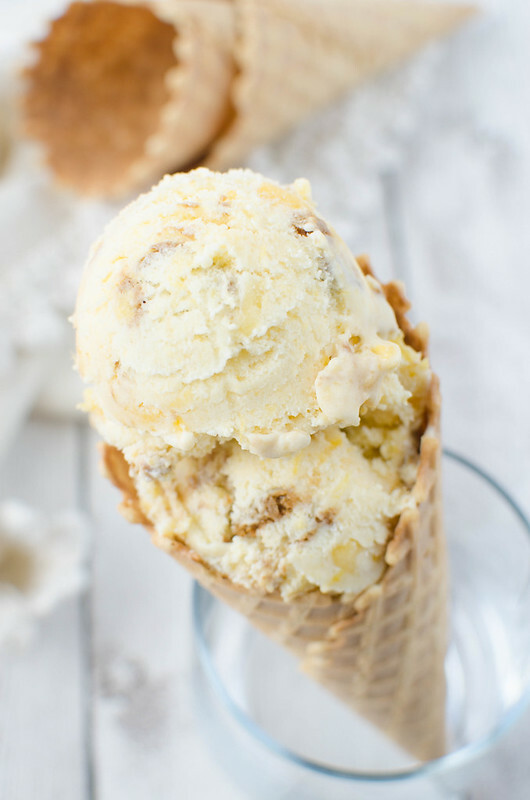 The super sweet peaches just work perfectly with the spicy fresh ginger and the gingersnaps. And it’s so creamy because of the custard base. Also, this was the first time I’ve used my ice cream maker this year! How weird is that?! In a large mixing bowl, combine chopped peaches, grated ginger, 1/2 cup sugar, salt, and lemon juice. Cover and let macerate for 30 minutes. While the peaches are macerating, whisk together egg yolks until light in color. Add the remaining 1/2 cup sugar and whisk until combined. In a small saucepan, warm heavy cream and milk over medium heat. Just to a slight simmer, stirring occasionally. Temper the eggs by slowly drizzling the hot cream mixture into the eggs, whisking vigorously the entire time, until about 1/3 of the cream has been added. Transfer the egg mixture into the saucepan and heat on low until the mixture thickens enough to coat the back of a spoon. Remove from heat and stir in vanilla and the peaches with all the juices that they've released. Let cool to room temperature and then refrigerate for at least 8 hours, or until chilled. Freeze in an ice cream maker according to the machine's instructions. Once done, fold in the chopped gingersnaps and transfer to freezer-safe container. Freeze overnight for the best consistency. 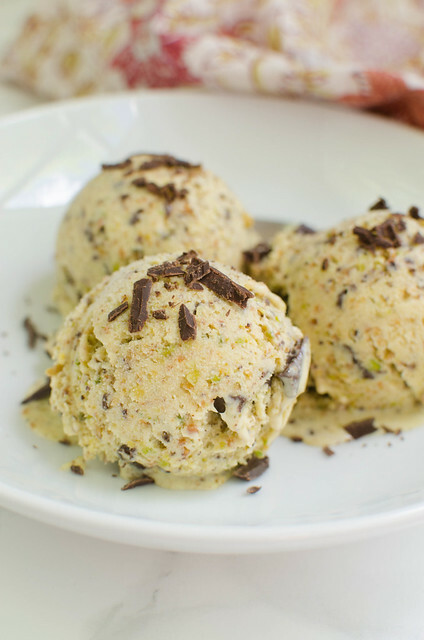 Want more homemade ice cream recipes? 2 Responses to "Ginger Peach Ice Cream"
OMG! 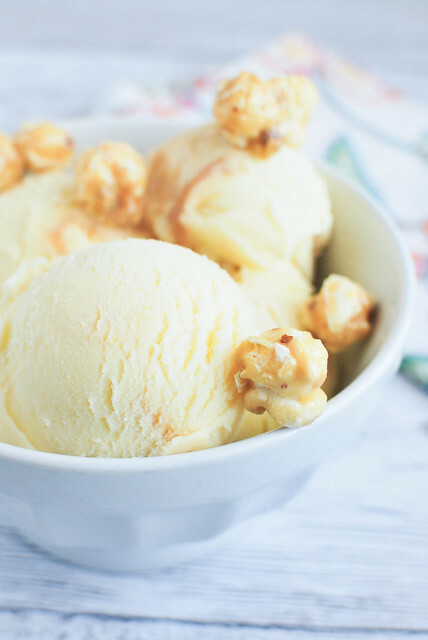 I am so in love with this ice cream! It sounds super rich, creamy and totally fantastic! What a great combination of peaches and ginger and adding the ginger snaps was brilliant! OK, so you know I’m going to make this ASAP.